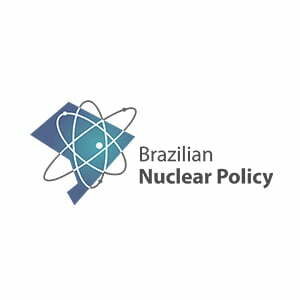 The research project “Brazilian Nuclear Policy” aims at producing knowledge and enhancing domestic and international debates about the actors and processes that generate the positions and actions adopted by the Brazilian governments on the contemporary nuclear policy agenda. Taking into account the changes in security governance mechanisms in the nuclear field in the last years, the developments in nuclear energy, its uses in medicine and agriculture, and Brazil’s and emerging powers’ insertion in international decision-making processes, the efforts of this project thus seek to fulfill the demand for a proper understanding of Brazil’s role in nuclear governance and the need to promote the debate on this issue among relevant players in the country. Given the complexity of Brazil’s nuclear policy, we advance an analytical perspective that take the multiple dimensions of it in conjunction, in order to access the current state of the nuclear agenda in Brazil, both in the official policy and decision-making levels and the general social context. Besides studying the historical evolution of the Brazilian nuclear policy in the 20th and 21st centuries, we trace the main actors and processes involved in the following dimensions: 1) formulation and implementation of nuclear policy activities; 2) the wider social debate on nuclear issues; and 3) foreign policy positions regarding nuclear governance. Thus, the project analyzes the interconnections between the diversified set of activities composing the Brazilian nuclear program and the national debate about projects of modernization and development. Furthermore, it seeks to understand the country’s nuclear policy in connection with its growing international engagement with issues, regions, coalitions and groupings. 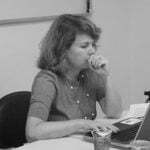 This project offers to general and specialized audience quantitative and qualitative information regarding the main facts and figures of the Brazilian nuclear policy as well as critical reflections about this complex and multifaceted element of Brazil’s political agenda, in which the national and the international dimensions intersect. Moreover, it organizes a series of events for promoting the dialogue among relevant scholars and practitioners in the nuclear field in Brazil and abroad, and also for raising awareness about the Brazilian nuclear policy and other nuclear issues. Since the first decades of the 20th century, Brazil has shown interest in mastering the power of the atom. In 1934, a group of physicists, based in the University of São Paulo, began their first researches on radioactivity. In the 1940’s, Brazil provided the United States with radioactive minerals that were used in the Manhattan Project. The Project culminated in the dropping of two atomic bombs. The utter devastation of Hiroshima and Nagasaki startled the world. On August 1945, the potentials and dangers of nuclear technology were dramatically revealed. As a result, the United Nations Atomic Energy Commission was founded in 1946. Its aim was to deal with the problems raised by the discovery of nuclear energy. Admiral Álvaro Alberto was appointed as Brazil’s representative to the Commission. In 1947, Alberto proposed the creation of a National Research Council andsupported the formation of the Brazilian nuclear program. The Brazilian National Research Council, known as the CNPq, was established in 1951. The purpose of the organization wasto formulate scientific and technological policies for the nation. Moreover, the CNPq coordinated the development of nuclear energy in Brazil. In 1953, President Getúlio Vargas approved a plan to develop all stages of nuclear energy production, including uranium enrichment. In this perspective, Brazil purchased three ultracentrifuges from West Germany. The country also signed cooperation agreements with the United States under the program “Atoms for Peace”. In 1956, the National Nuclear Energy Commission (CNEN) was created to supervise nuclear activities. Besides, the Institute of Atomic Energy (IEA), designed to carry out nuclear research, was founded. Despite these initiatives, the Brazilian nuclear program remained limited to research activities until the mid-1960’s. In 1967, Brazil’s attitude towards nuclear energy changed. Under the administration of Artur da Costa e Silva, a comprehensive plan for the development of nuclear energy was elaborated. Concurrently, Brazil signed the Treaty of Tlatelolco, inaugurating a nuclear-weapons-free zone in Latin America and the Caribbean, but refused to join the Treaty on the Non-Proliferation of Nuclear Weapons (NTP). In 1972, the construction of Angra I, Brazil’s first nuclear power plant, started. Westinghouse agreed to provide Angra I with enriched uranium. Nevertheless, the United States revised the agreement. In 1974, the U.S. announced that it would not supply Brazil with nuclear fuel. In 1975, Brazil turned to West Germany and signed a cooperation agreement for the peaceful usesof nuclear energy. Nuclebrás, a state company designed to implement the Brazilian nuclear program, was created. However, domestic criticism andinternational pressure by the United States curbed Brazil’s nuclear ambitions. At the end of Ernesto Geisel’s presidency, in the late 1970’s, the Brazilian nuclear program was facing major obstacles: the transfer of technology, stipulated by the cooperation agreement with West Germany, failed. Brazil could not master the entire nuclear fuel cycle. In 1979, a secret nuclear program was launched to remedy the situation. The parallel program was led by the Brazilian Navy. Its main objectives were to locally develop the uranium enrichment process and to acquire nuclear propulsion technology for submarines. Then, in 1981, the effective construction of Angra II, Brazil’s second nuclear power plant, was initiated. Angra I began operating in 1985. The military regime endedin the same year and the nuclear parallel program was eventually disclosed. Brazil’s nuclear capabilities became public and subject to civilian control. The peaceful nature of the Brazilian nuclear program was affirmed and inscribed in the new Constitution. Furthermore, in 1987, only one year after the Chernobyl disaster, a radioactive contamination accident occurred in Goiânia. The need to regulate the country’s nuclear program was highlighted. Gradually, initiatives to control and inspect nuclear activities emerged in Brazil and Argentina. Indeed, bilateral cooperation between the two neighbors progressed in the 1980’s and the early 1990’s. A framework for nuclear cooperation was consolidated in 1991: Brazil and Argentina signed a landmark agreement for the exclusively peaceful uses of nuclear energy. Consequently, the Brazilian–Argentine Agency for Accounting and Control of Nuclear Materials (ABACC)was established. Also signed in 1991, the Quadripartite Agreement between Brazil, Argentina, the ABACC and the International Atomic Energy Agency (IAEA) defined the application of safeguards on all nuclear activities carried out within Brazilian and Argentine territories. Besides, Brazil fully joined the Treaty of Tlatelolco in 1994 and ratified the NTP in 1998. Still, Brazil did not subscribe to the Additional Protocol. In 2001, Angra II began its commercial operations. The Brazilian nuclear program was revitalized under Lula’s administration (2003-2010). The development of nuclear facilities was encouraged as a means to diversify Brazil’s energy matrix. The project to build a nuclear propulsion submarine was rebooted in 2009. In the same year, a nuclear fuel factory was installed in Resende, Rio de Janeiro. The construction of Angra III, Brazil’s third nuclear power plant, resumed in 2010. Lately, the Brazilian nuclear program has gone through a period of uncertainty. Ongoing corruption investigations and recent budget cuts have challenged the nuclear sector.